Although East junior Hanna Karimi shares a connection through her family tree, she has never experienced the culture of an Iranian girl—until now. Karimi recently returned from Iran with her father after spending two weeks in October visiting family and experiencing a homeland that she has never known. The Current sat down with her to find out her thoughts on this eye-opening experience. Karimi’s father and uncle traveled to America when they were younger and settled down with a new life in West Bend. Karimi’s father has gone back to visit his family plenty of times, but this was the first time Karimi went with him. She had family over there that she had never even met. “It was really weird to see my family there because most of them I had never met before, and others I had not seen since I was two years old. I hardly knew what they were like. I only knew from stories that my dad had told me,” Karimi said. As this was the first time Karimi had ever traveled to Iran, she experienced a very large culture shock while over there. Other than eating some of the food and hearing her dad speak a little bit of the language, Karimi hadn’t experienced much of the culture that is a part of her. 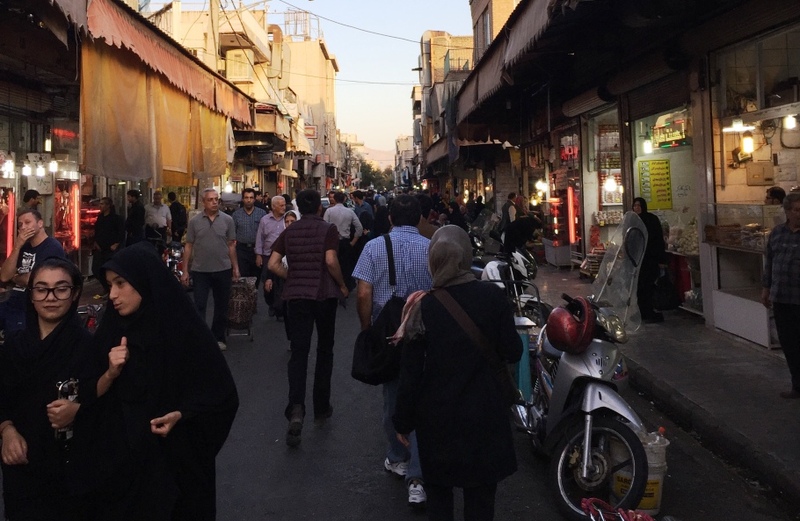 While in Iran, she had to conform to all of the rules that Iranian girls must do every day. Any time they were out in the streets, her head had to be covered, and she had to wear long sleeves and long pants. “It was so hot, it felt like I was dying sometimes,” Karimi said about the weather and clothing. The language was another large barrier for her. 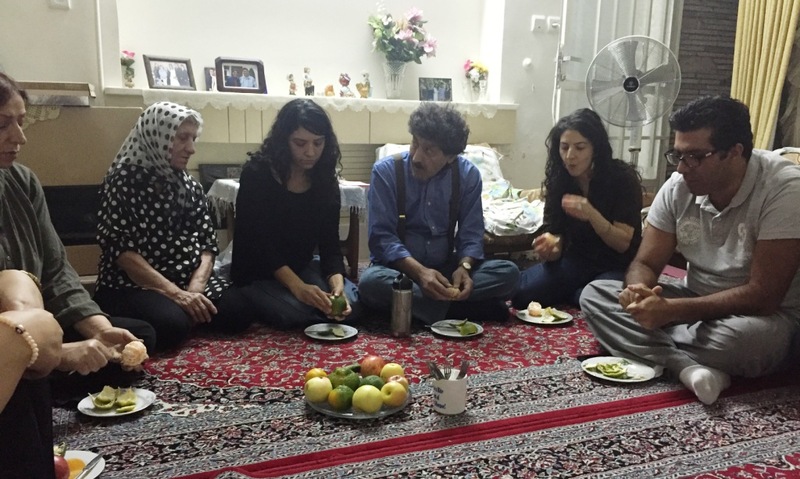 “You have no idea how nice it was to hear English,” Karimi said after she had returned home. Luckily, her father was there to help her communicate because most of her family, like her grandmother, speaks little to no English, and she doesn’t speak Farsi, one of the predominant languages in Iran. Karimi felt that culture shock instantly. She had to quickly adjust to leaving everything familiar behind, including her mother, brother, friends, and language. “The worst part of the trip for me was traveling for two days to get there, and trying to get used to the major change of culture in a short period of time,” she said. This trip would definitely take almost anyone out of their comfort zone. “I went from somewhere I grew up and was comfortable with to a place I knew nothing about,” Karimi said. Even though there are many differences between the cultures, Karimi was able to draw a few parallels between the cities of the United States, and the capital Tehran, where she stayed while in Iran. “Iran is so different when you compare it to the United States. It is a really religious country with strict rules the people have to follow involving the way they dress or act. As for the city, the buildings were run down and really old, and the cars were a lot smaller than in the United States. It felt like a less modern version of New York. There were lots of people that walk the streets. There were always cars driving everywhere, and there was always noise,” Karimi said. In the end, she had a great time and new experiences that she will never forget. Wow, this is an intriguing read! Its really interesting to see just how different life can be in other places compared to here in the US. She was lucky to be able visit her family that she didn’t know. There are people who never get that opportunity. And to experience another country so opposite of ours is a blessing. She is a lucky girl.